- The views and opinions in this article are those of the author Bruce Mitchell and may not reflect the official policy or position of TFT. - The author was not paid or asked to write this article. The author simply believes that TFT is a powerful tool for vulnerable humans in an uncertain world. - The author completed a 2½-day high-density TFT course in 2008. He has followed TFT since the early 2000s. He now practises solo (using visualisation, dummies) and with the help of his sons and TFT's online virtual training center. tool to be used in asocial violent situations. Realise this is an asocial situation. Assume an offensive mindset. Note that the arbiter of asocial violence is debilitating injury. The first person to get such an injury and/or take advantage of it, will win. TFT focuses on results and aims to cause such a debilitating injury. In training, the reaction partner mimics the expected body position for injury, e.g. a groin strike has an 'injury profile' of bent over, chin stuck out, hands on groin. Learning how to give these injury profiles as feedback is crucial to TFT, as it trains the attacker's brain to recognise debilitating injury. Summing up, your to-do list is simple = INJURE. This gives you a coin-flip of a chance in asocial violence. See their website for more information, to subscribe to their mailing list and get access to free materials, e.g. 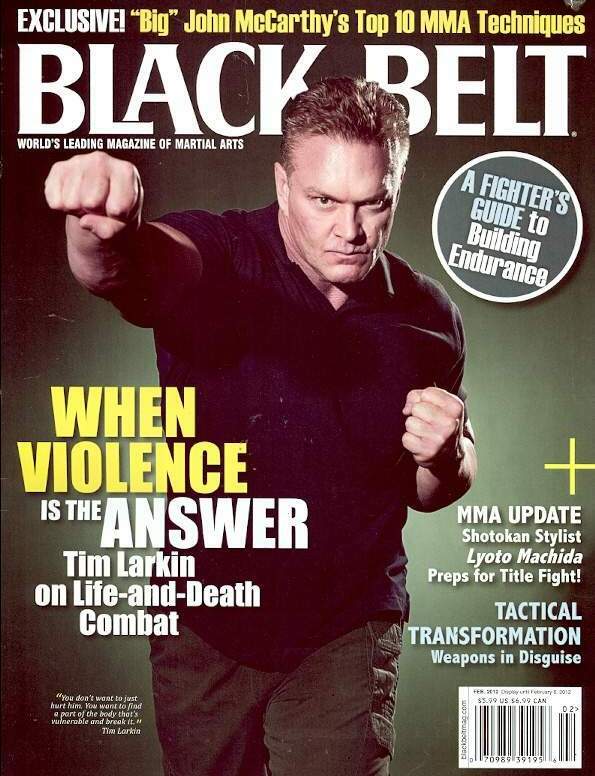 PDF of Tim Larkin's book How to Survive the Most Critical 5 Seconds of Your Life. It is implanted permanently into your subconscious in only a weekend course. World War Two soldiers were trained similarly (see here). TFT students have even used the tool of violence effectively in real-life violence by only watching TFT videos! Compare this with the years of training required by many martial arts to reach competence. The slow and calm pace of TFT also make for little risk of injury. Martial arts, especially those that practise striking, risk serious brain injury. It's not just concussions that damage the brain. Milder subconcussive events cumulatively age and damage the brain - see here. It replicates the asocial environment by discouraging talking and/or social cues during training - see here. Be silent, be focused on creating injury [Injury vs. Pain is discussed here]. It dovetails perfectly with the biological facts of violence/fear, i.e. you get tunnel vision and lose fine motor skill. So, in TFT, you focus on a small point on the other and target it with gross motor attacks (using large muscle groups, whole body movement). Its reliance on principles - rather than having to learn numerous techniques. Its de-glamorisation of martial arts. Its non-reliance on the likes of size, speed, strength, skill. It's not magic. It is work. The sort of whole body work you do in daily life. It instils an innate confidence that you can handle the worst kinds of violence. Associated with this is the peace it can bring the world. Peace is its purpose [link to December 2013 blog by Chris Ranck-Buhr now broken]. Scary thoughts are replaced by life-saving skills. "Peace is the purpose." It brings a real understanding of violence. Most movies have the characters scramble for the gun or knife on the floor. TFT teaches us that the mind is the most important tool, not the gun or knife. It tells us to view violence outside of a social lens - stop seeing yourself as the victim. In this way, we move beyond intimidation and see what works = intent. We just need to produce injury, that is spinal reflexes, by consistently targetting specific body areas, often those barred from MMA. We learn what is asocial violence, how to avoid it, how to use the tool of violence, so that when it presents, we act dynamically and with intent to injure. Self-offence is what we do in asocial violence, whilst self-defence is for the aftermath (police, law) - see here. It's like learning to swim; you will probably never need it to save your life, but it brings peace-of-mind to know that you have the skill, and if you ever face a life-or-death or asocial scenario, you will be glad you have it! It has the healing power to reduce the fear of violence, allowing us to enjoy our lives more freely - see here. TFT provides an excellent understanding of the difference between antisocial and asocial violence. The world really needs to get this message! TFT's message is to avoid violence, if you can. Only in the face of asocial violence is violence advised. Violence is rarely the answer, but when it is, it is the only answer. It reduces the macho, egotistic, competitive dynamic that pollutes authentic relating between males, and between anyone. Effectively, anyone can kill you and anyone can be killed by you. This realisation, based on appreciating the body's reflex system that bypasses the brain, is humbling and is an equaliser. Reflexes are not about your muscles, not even about being judo-like in using the attacker's momentum against them - but rather targetting and hitting their reflexes forces attackers to move away themselves (by the power of their muscles/weight). As a result, the instinct of human co-operation is more likely to emerge all over the world, no longer likely to be muddied by aberrant uses of violence. Combat sports will continue. But, in everyday life, antisocial power games and confrontations are likely to become a thing of the past, to be replaced by equality, harmony, peace and co-operation between humans. TFT training is not competitive. Rather it is win-win or cooperative, as the profile partner (who models successful injury) is helping the trainee prepare for the real threat of asocial violence. This is a different feel to most martial arts. (Secrets for Staying Alive When Rules Don't Apply, pp.139-140) This - along with its slow training - involve many that otherwise avoid violence training (dropping out because the experience of pain is far more common than any pleasure or skill acquisition). It surely could be taught to all young men and women as an adolescent rite of passage! It avoids the 'wussification' of men and society. I've seen and heard of guys at self-development courses wanting to connect with their animal or aggressive side. They can spend hours in group workshops posturing, shouting and punching pillows. However, by learning something like TFT, you integrate your ability to use the tool of violence quickly, effectively and wisely. It is psychologically empowering. Surely any parent or carer would want their daughter or son to learn this? You feel strongly connected to your inner warrior. In terms of The Truth about Killing, TFT increases the amount of heroes/heroines in society. Or, using another analogy, there becomes far more sheepdogs guarding sheep than wolves hunting the sheep. "Violence is rarely the answer, but when it is, it is the only answer." "Learning to apply violence in the defense of your life, the life of your spouse, children or even your crazy best friend...is an act of LOVE."